An introductory webinar of Fieldscale Sense will be held by Altair Partner Alliance on March 2, 2017 at 10:00 am ET (16:00 CET). You are either a simulation expert, working for years with complex software or you struggle with costly, time-consuming traditional prototyping. Whoever you might be, you have definitely faced the pains of developing a new touchscreen product. This webinar will show you how to automate your design process and solve with confidence, with the amazing power of virtual prototyping. 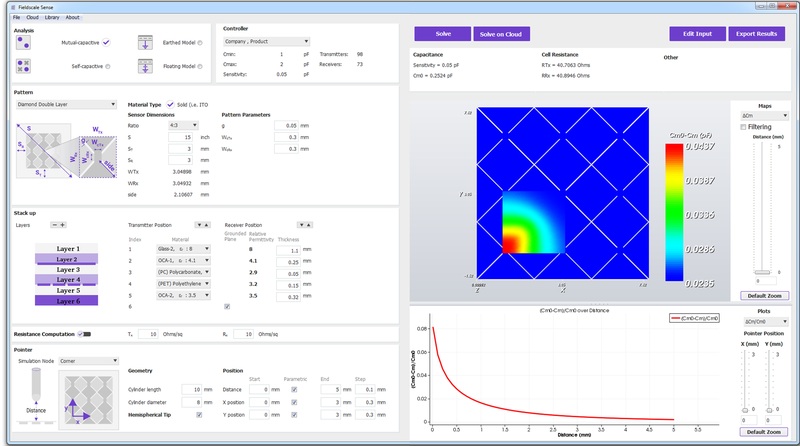 Our engineers will introduce our simulation app, Sense, developed to tackle complexity and at the same time provide super accurate results, through intelligent algorithms. We will guide you through the 5-step design process of a new touch sensor through test cases and examples. Join us to see for yourself the simple and elegant GUI of Sense 2 and its remarkable solving capabilities. We’d be delighted to have you. Click here to register to our free webinar.